Opposing Force returns to the same setting as Half-Life, but instead portrays the events from the perspective of a U.S. Marine, one of the enemy characters in the original game. The player character, Adrian Shephard, is sent in to neutralize the Black Mesa Research Facility after a scientific mishap causes it to be invaded by aliens, but quickly finds that the Marines are outnumbered and slowly being beaten back by a second alien race and black operations units. 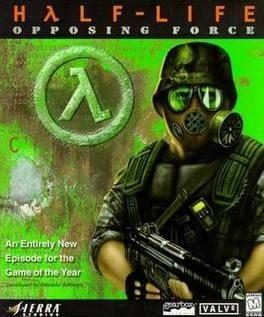 Half-Life: Opposing Force is available from 3.99 to 3.99 from 1 shops.